Although the brunches, the partying in VIP, and swanky galas with beautiful, ambitious black folk has made my life lit lit, there have been many unseen bouts of crying, sleepless nights, and other difficulties I’ve had to endure to get to this point. 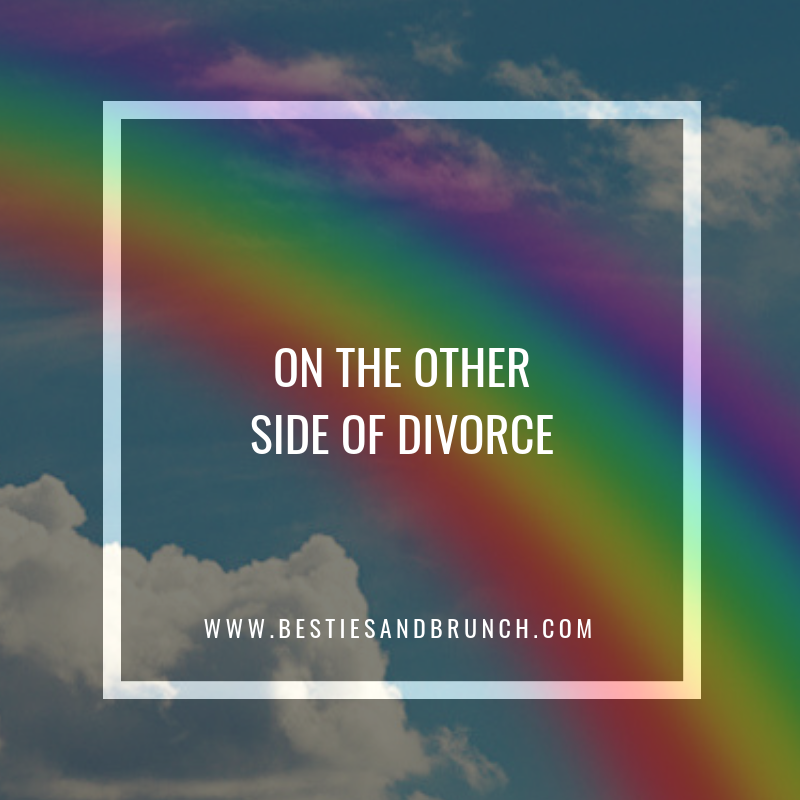 All due to the hardest decision I’ve ever had to make in my life – Divorce. But finally. Finally I’m on the other side. The side where days are much brighter. Where I no longer tear up just talking about it. The side where I can care less about the opinions of others who have made assumptions or spoken ill of me without even knowing the whole story. I’m now on the side where I see the benefits of a risk I took to be authentically me. What initially felt like a scarlet letter plastered on my chest is now, rather, an experience that taught me how to redefine myself. Let me tell you chile- Guilt and shame are beasts! I held both on my back because I knew this decision would disrupt a family dynamic that my son was used to, it would alter my ex’s life, and cause my finances to decrease. I needed a David type of mindset to kill those Goliaths. It took a lot of personal work (and a year of therapy) but I got it done. My journey towards healing started when I began to talk to other women who were divorced. Knowing that there were others who experienced what I was going through at the time immediately helped me exhale. The scarlet letter on my chest started to dissipate. Just as others have helped me, it’s only right to share 5 things I did throughout my journey, in hopes of helping someone who may be on this road. 1. Get to know yourself again and what you need to be whole. Your happiness is not the responsibility of anyone else but you. Use this time to be in tune with yourself. Know what you enjoy and what you won’t tolerate. Learn how to become whole by loving yourself and being secure with you! 2. Talk to yourself like you talk to your friends. A breakup of any kind can take a blow to your self-esteem. Negative self-talk would creep in my mind constantly. Now if my bestie would call to vent or cry, without thinking twice I would offer words of support or encouragement to instantly cheer her up. Why not do the same for myself? Duh! 3. Lean on your support system. Divorce totally changes your life mentally, emotionally and especially financially. 9 times out of 10, someone in your family or group of friends has experienced hardship and are willing to help because they understand and they care. Whether it’s a shoulder to cry on, a babysitter so you can get a moment to breathe, or a couch to sleep on until you can find your own place to stay…put your pride aside. Learn to ask for help! 4. Forgive yourself. About that guilt thing – It’s natural to experience but don’t let it weigh you down. There’s no value in beating up on yourself. At the end of the day, if your decision allows you to be happy and whole, your child(ren) will be happy too. Never feel guilty for living your truth. 5. Accept where you are. This was a hard one for me. I had to take 5 steps back before I could take a step forward in the direction I wanted to go. That’s life. But I knew it would only be temporary and I knew it would be worth it. I learned to completely depend on no one else but God to get me through. Sometimes you have to endure difficult situations to arrive at your desired destination, to get to where you really want to go. If you have any other advice to share, leave it in the comments section below or DM me the next time you’re on IG (colorme_eboni). I would love to hear your thoughts!